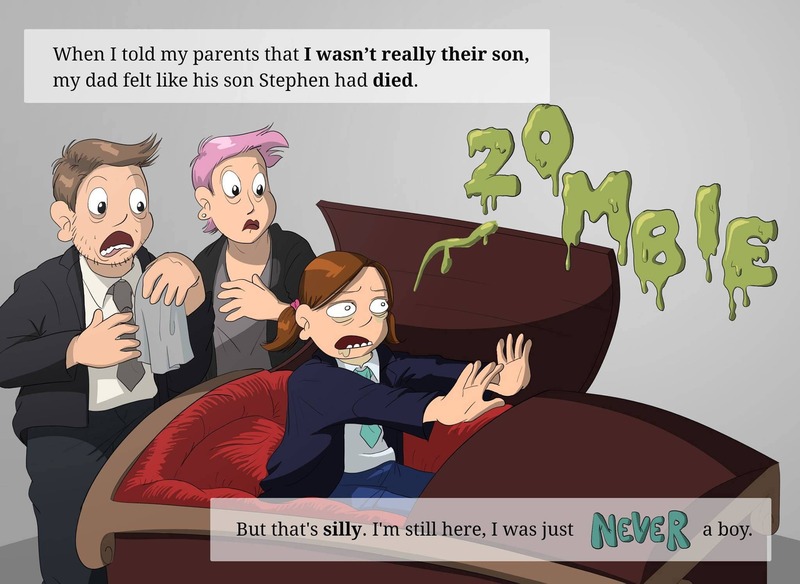 Stephie is 7 years old. She likes bugs, books and spaghetti. Her favourite thing to do is to stay up late and watch scary movies. Also, she's a girl... which should be pretty easy to understand, right? Well, not for her dad! 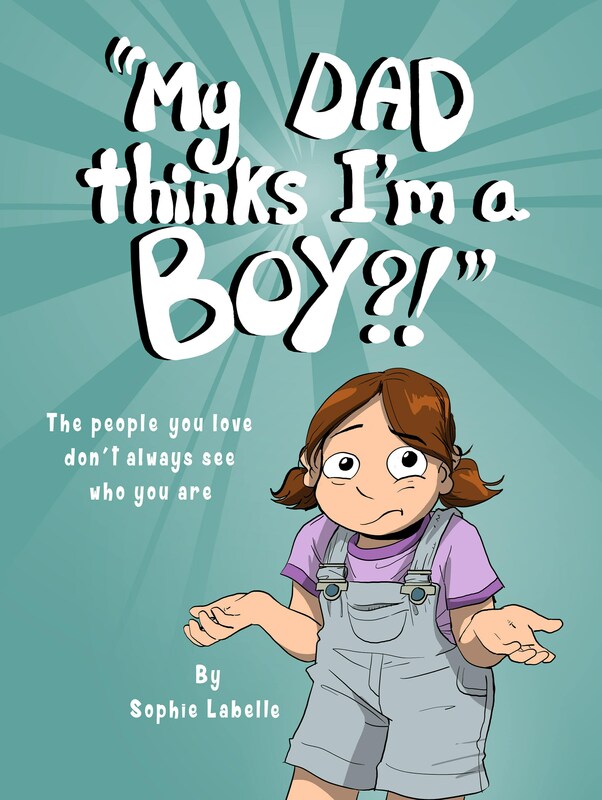 He's been mistaking her for a boy since she was born and struggles to see her as who she is. But other people don't have a say in what it means to be ourselves, even when we love them. 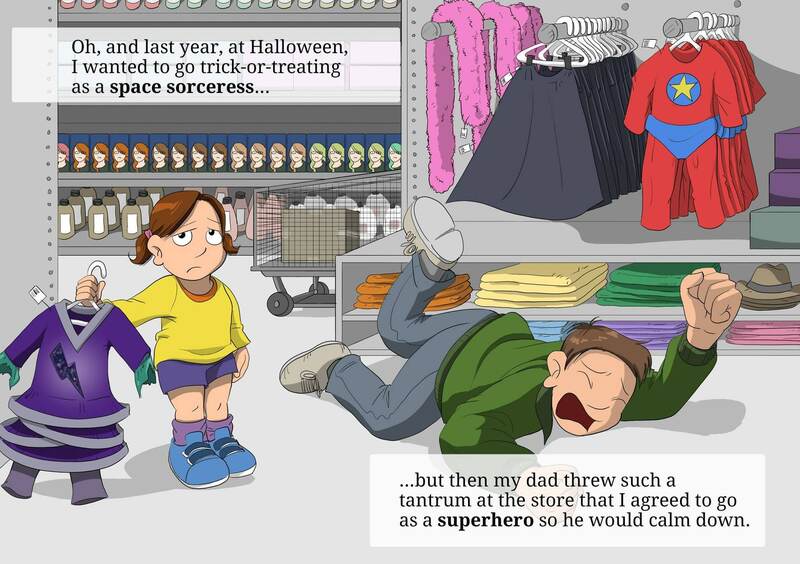 Starring the main character from Sophie Labelle's Assigned Male comics at the beginning of her transition, "My Dad Thinks I'm a Boy?!" portrays with humor a situation that is often too common, where a child is forced to negotiate authenticity and their parents' love. The printing of this book was made possible through crowdfunding. The target audience is 4 to 8 years old. I love it same as all previous ones and I am looking forward to buying next books.